That’s right, I’ve been spending my old pennies again. This time on all things Disney. 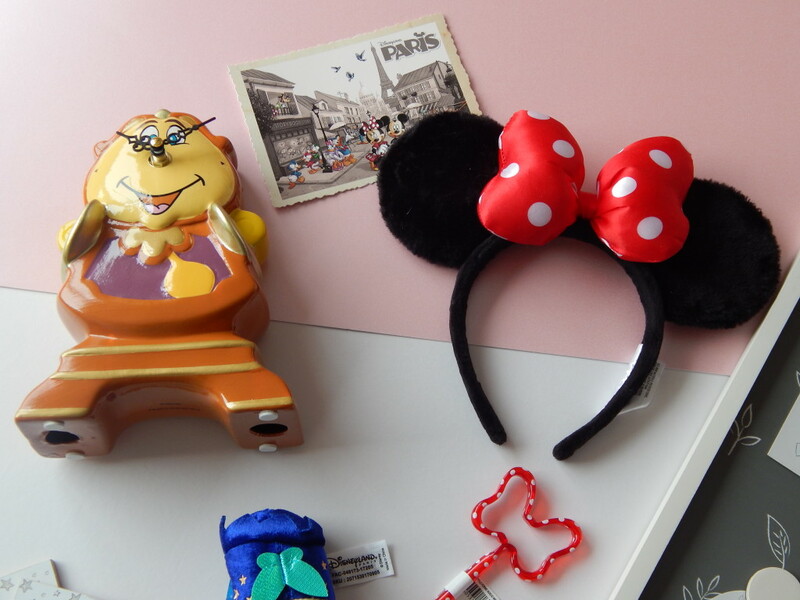 Some of this is from my trip to Disneyland Paris. If I’m perfectly honest, I didn’t buy that much in Disneyland Paris because a) it was expensive, b) I didn’t have that much space in my bag and c) I was a little overwhelmed by how much stuff there was there! I still picked up a couple of bits though, which I love. I actually picked up most of the rest of it in Primark. I had a day or two in London on my way home from Paris so made sure to pop into the big Primark on Tottenham Court Road. 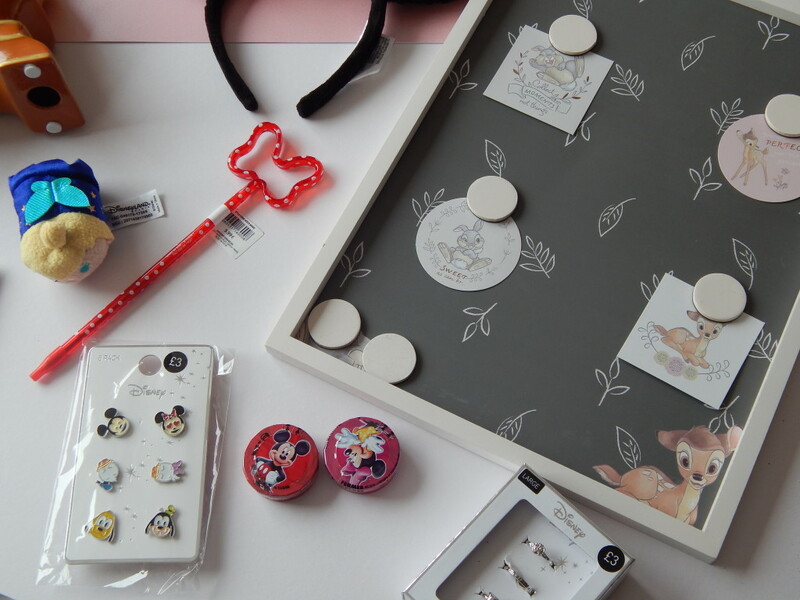 I managed to find some of the things that I had been oohing and ahhing over on Instagram that don’t make it into my local store. Shall we have a look at what I bought then? First up is the ears. I know that everyone and their mother has these but I really wanted a picture of Sam and I in the ears in front of the castle so I spent €13.99 on a pair. As much as I love these, they are actually really uncomfortable, especially if you have a giant head like mine. Still, I’m really glad that I got them (and my photo)! I also got a postcard because I’ve been collecting postcards from all the new places I’ve visited on my gap year. I already have one from Paris from my last visit but needed to get one from Disneyland. This was €2 and a lovely addition to my collection. Moving a little further down is this brilliantly OTT pen. It might be the most impractical thing ever but it looks really cute on my desk and is a great reminder of our trip. This cost €5.99. I also got a Tsum Tsum. I’m not a massive Tsum Tsum collector but I did get a special edition one in New York which I treasure. When I saw that they had the special 25th anniversary Tinkerbell one I knew I wanted to get it! This was also €5.99 and one of the cheapest things in the 25th anniversary range. Finally, I got two little tins of sweets at the till which cost €1 each. There’s one for me and one for my friend. The rest of the things that I bought are from Primark. They are killing it with the Disney stock at the moment! I could have spent a lot more money in there but I thought that I would try and be sensible. 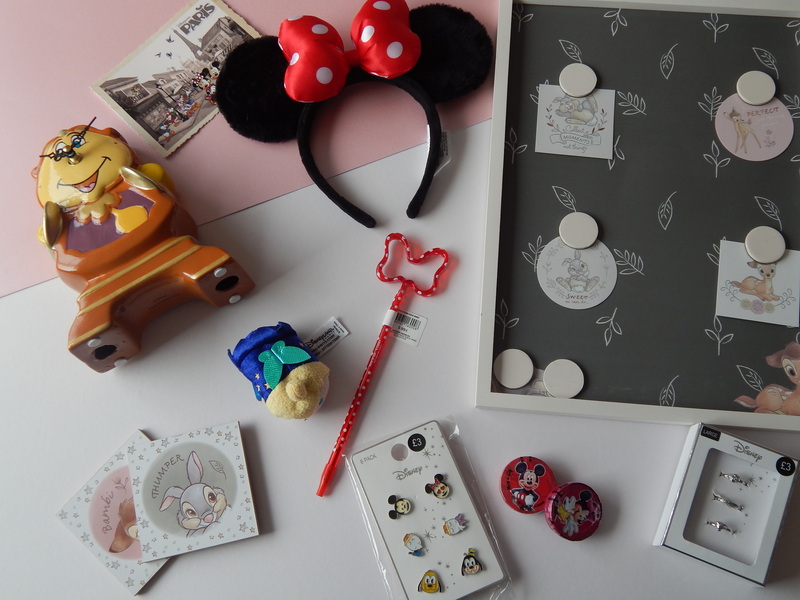 The ‘big’ thing from Primark is probably this gorgeous Bambi notice board, which was £8. My room is decorated in pink and grey so this is the perfect new addition. Moving on to the ‘I-probably-didn’t-need’this’ thing is this amazing Cogsworth clock. It is both ridiculous and fantastic. This was £10 but was too cute to leave behind. I also bought some gorgeous Bambi coasters, which were £4 for 4. Again, the colour scheme of this will look lovely in my room and I always need coasters. I really wanted a Disney pin badge for my work lanyard but all the ones in Disneyland were way too big. Instead I picked up a pack of six badges for £3 in Primark. They feature the classic Disney characters and are really adorable. These will look fab on my lanyard without being so big that I have to worry about them catching on something and falling off. Finally, I bought 3 gorgeous rings for £3. These are Beauty and the Beast inspired – my favourite is inscribed with ‘Tale as Old as Time’. These aren’t the best quality (and likely to stain your hands) but they’re so lovely I couldn’t leave them behind. I just won’t be wearing them for long stretches of time! I love Primark for Disney merch.